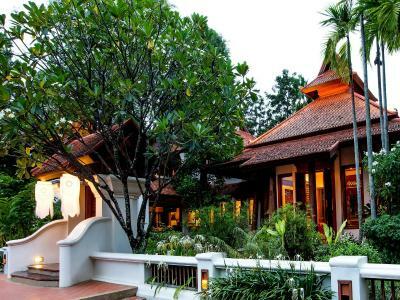 Lock in a great price for Oasis Baan Saen Doi Spa Resort - rated 9 by recent guests. If you're after a bit of relaxation, luxury and resort style living, then this is a great destination. 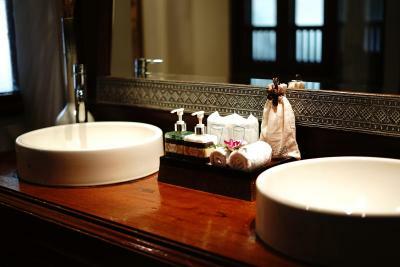 Oasis operate a premier chain of spa in Chiangmai and staying at their resort gives you great convenience. Airport shuttle transfer, generous breakfast, in room free minibar, made our stay extra special. So peaceful. Feels isolated in a good way and is the perfect place to do not much and not get disturbed. Pool is very nice and wasn't busy during most parts of the day of the 4 days that we were there. Beautiful, clean, comfortable. Staff were amazingly kind & helpful. 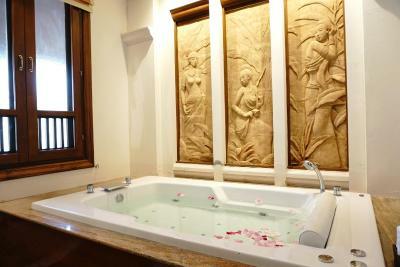 Room was very spacious with large comfortable bed & super bathroom with shower & jacuzzi bath. Had a lovely massage, very relaxing. Own outdoor pool. Everything was amazing, the staff was simply incredible, always available to help with a smile. Breakfast was just so good!! The room was really big and the furniture precious. The Spa next door also unbelievable the quality of the service and the professionalism of the staff. The swimming pool and the restaurant next door were indeed of top top quality. Congratulations! Room is quite nice and detailing. All staff there are very helpful. We loved the hotel. Our deluxe room was super spacious and comfy. We were amazed by the size of the bed and the bathroom. After busy Bangkok and Koh Lipe this hotel was a nice change. It’s a little outside of the city center, but we didn’t mind at all. The hotel offers a free shuttle into town and back every day. The breakfast was amazing, so was the pool and the massages. The staff was very friendly and helped with everything. Located in Chiang Mai, Oasis Baan Saen Doi Spa Resort features cosy accommodation, saltwater pool, tennis court and a restaurant. Free Wi-Fi is available. The resort arranges free airport transfers and free shuttle service to Lanna Oasis Spa, which is located in downtown Chiang Mai. 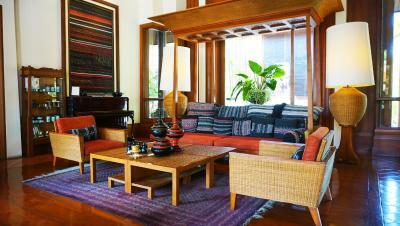 Decorated with traditional Lanna furnishings, the spacious rooms have a cable TV, DVD player and private balcony. Shower facilities are in an en suite bathroom. Saen Kham Terrace Restaurant provides indoor or al fresco dining with a panoramic view of Doi Suthep Mountain and rice paddies. Local dishes are served. 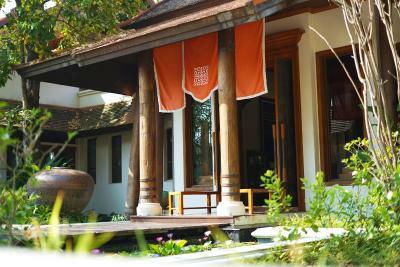 Oasis Baan Saen Doi Spa Resort is a 5-minute ride from The Royal Floral Rachapruek National Park and Night Safari. A 15-minute ride takes guests to Chiang Mai International Airport. 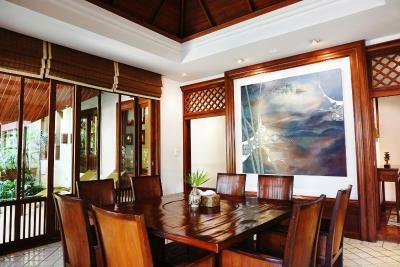 Oasis Baan Saen Doi Spa Resort has been welcoming Booking.com guests since 28 Apr 2010. 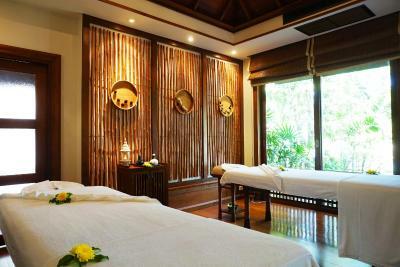 When would you like to stay at Oasis Baan Saen Doi Spa Resort? Features a cable TV, a minibar and a private balcony. En suite bathroom offers rain shower and a hairdryer is provided. Suite offers a living area, walk-in closet and a large en suite bathroom with a spa bath and shower facilities. It comes with iHome system including a speaker and clock radios for iPad, iPhone and iPod. 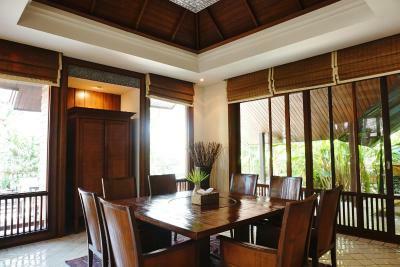 Located on the top floor and features contemporary interior, suite offers 2 bedrooms with a separate living area, a private pavilion and a kitchenette. Includes a spa bath, rooftop terrace and walk-in closet. Offering views of the garden, this corner suite includes a living area, a large walk-in closet and a sun deck. En suite bathroom comes with rain shower and a hairdryer is provided. 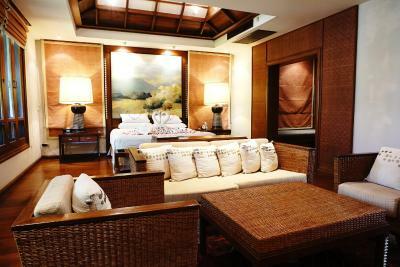 This spacious private pool villa includes 3 separate bedrooms, each with its own en suite bathroom. Featuring a kitchenette and a dining room, there is also a veranda with a lush garden, a large living room and walk-in closets. A spa bath is featured in the master bedroom. This suite features a balcony, cable TV and minibar. With views of the courtyard and swimming pool, this suite include a spacious bedroom, a walk-in closet and a private bathroom. There is a spa bath and a rain shower. 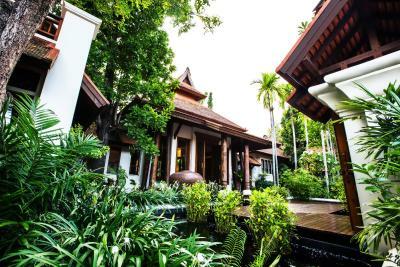 A sweet boutique retreat with all the upscale amenities … whether you are looking for a very private, romantic getaway, a spa vacation, or a staging point for your Thailand adventure there is only one clear choice – Oasis Baan Saen Doi Spa Resort. 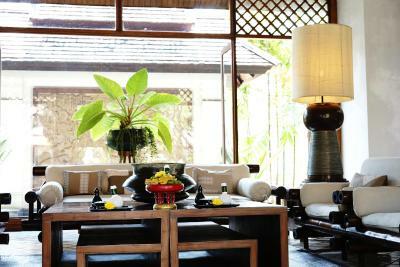 Located at the foot of the Doi Suthep Mountain, this retreat is your secret Chiang Mai hideaway. 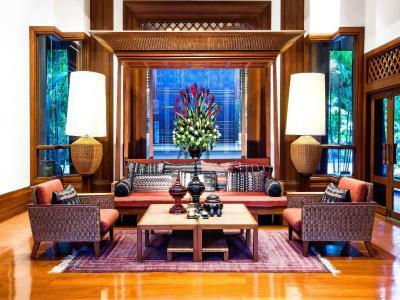 From its luxurious Lanna architecture, original High Land and Southeast Asian art to its breathtaking views, every detail caters to your senses. 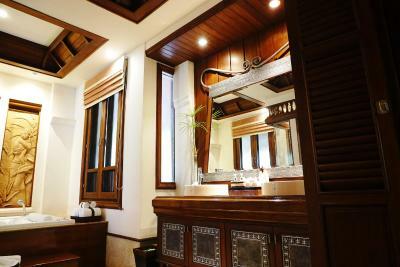 Each of the lavishly decorated, spacious guest rooms has a beautifully decorated bathroom, and a private veranda. The upstairs terrace has a traditional pavilion that affords a panoramic view of Doi Suthep Mountain. With the Lanna hospitality, you will lack for nothing. 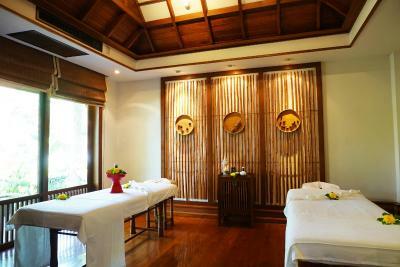 Everything about the Oasis Baan Saen Doi Spa Resort is superb. 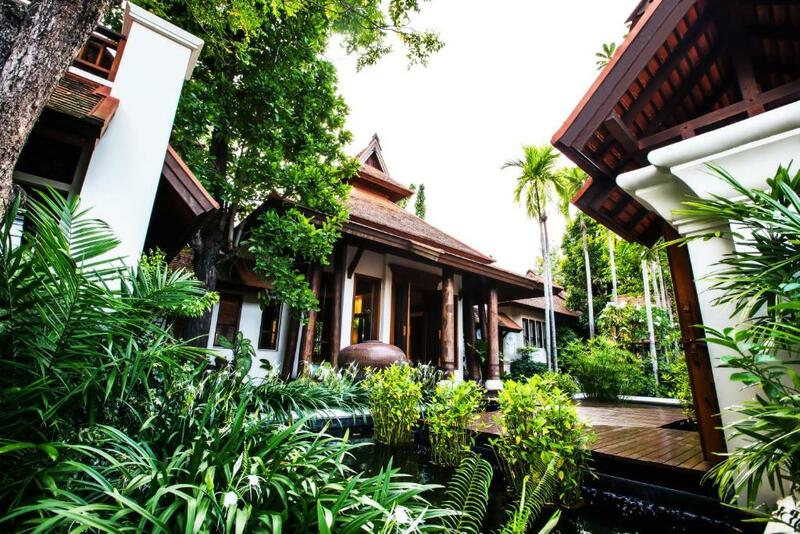 House rules Oasis Baan Saen Doi Spa Resort takes special requests - add in the next step! One older child or adult is charged THB 1647.80 per person per night in an extra bed. Oasis Baan Saen Doi Spa Resort accepts these cards and reserves the right to temporarily hold an amount prior to arrival. The grand and luxurious space is a great getaway, but if you're after state of art electronic services you may be disappointed as one TV didnt have HDMI, the iPhone docks are for iPhone 3 and also the kitchen stove was old and not the best, although still functional. Location isn't ideal in the sense that you aren't really near anything. Chiang Mai is at least 15 minutes drive. In terms of shops there is a 7/11 just outside resort gates and across the main road. The air conditioner machines outside were a bit too noisy and did not let us sleep well. The mattress of the king size bed could has been a bit more firm as well. The property is a little out of town. We used Grab for transportation which is significantly less than a taxi. The staff were amazing and went above and beyond to ensure we had a lovely stay. They even made my partner a birthday cake! The rooms were incredible and very large! Couldn't have asked for a more perfect stay. Swimming pool is way too far. No fitness. Nice room. Breakfast is OK even though it is not a buffet.